Hardilands Cottage in Bothkennar, near Stirling, Stirlingshire sleeps 6 people. Hardilands Cottage near Stirling is a detached, single-storey property with its own hot tub in a private garden, where you can enjoy miles of uninterrupted views over Stirlingshire. This spacious, beautifully presented property has your every need thought of. Relax in the hot tub and take in the views of the countryside to the mountains beyond, or spend a lazy afternoon with a book in the cosy living room. If you plan to practice your cooking skills, you will find everything you need in the well-equipped kitchen, including a range of cookery books and a gas range with large oven. By prior arrangement with the owners, your stay can be tailored to suit your needs. Pre-ordered groceries can be delivered, and if you want to leave the cooking to someone else, a chef can prepare a special meal or a selection of delicious, cooked meals can also be arranged, ensuring that your holiday at Hardilands Cottage is a luxury break and exceeds expectations right from the start. Alternatively, if you would prefer to eat out, there is a local hotel serving food just ¼ mile away. A welcome pack is provided on arrival, and to make sure your stay is that bit more relaxing, robes and toiletries are also included. The owners also live on-site, so help is at hand should you need it. This is a wonderful location for enjoying a last minute getaway or a gathering with friends and family. 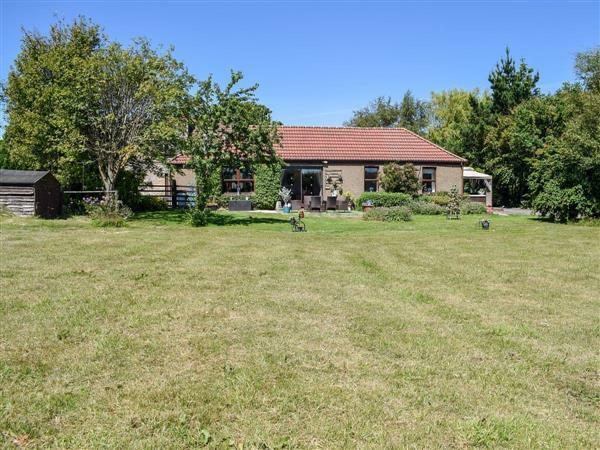 While the property is in a quiet rural setting, it is still located close to the motorway network. The area is rich in history and there are historic buildings, castles and gardens to visit, including Stirling Castle and Linlithgow Palace. Other tourist attractions include the Falkirk Wheel, The Kelpies, Blair Drummond Safari Park, museums, art galleries and RSPB reserve, 1 mile. For the great outdoors, there is an abundance of activities to suit all tastes, such as watersports, walking, cycling (Route 76 passes close by), and golf, with many local courses within a short drive and a championship course 31 miles away. The cultural, vibrant cities of Glasgow, 26 miles, and Edinburgh, 29 miles, make a great day out. If you prefer to leave the car behind, there is a park and ride 10 minutes’ away. The Loch Lomond and Trossachs National Park is 26 miles away, Stirling, 11 miles, and Falkirk, 6 miles. Whatever you choose to do on your holiday, you can rest assured that the comfort of Hardilands Cottage awaits you on your return. The shop is 1½ miles, with the pub and restaurant ¼ mile from Hardilands Cottage near Stirling. Step to entrance. Hardilands Cottage near Stirling is all on the ground floor. Living room: With gas wood burner, 55 Freeview TV, DVD player, CD player, iPod dock and patio doors leading to decking. Bedroom 3: With zip and link twin beds (can be super king-size on request). Gas central heating, gas, electricity, bed linen, towels and Wi-Fi included. Travel cot and highchair available on request. Welcome pack. Catering available by prior arrangement. Lawned garden with patio and garden furniture. Hot tub for 6 (private). Private parking for 3 cars. No smoking. Holidays at Hardilands Cottage run from Friday to Friday. For a better idea of where Hardilands Cottage is, you can see Hardilands Cottage on the map below. Hardilands Cottage is in Stirlingshire; should you be on the lookout for a special offer, you can find all the special offers in Stirlingshire. It's always worth checking to see what is on offer at the moment. Do you want to holiday near Hardilands Cottage (UKC1784), you can see other cottages within 25 miles of Hardilands Cottage; have a look to find your perfect holiday location.